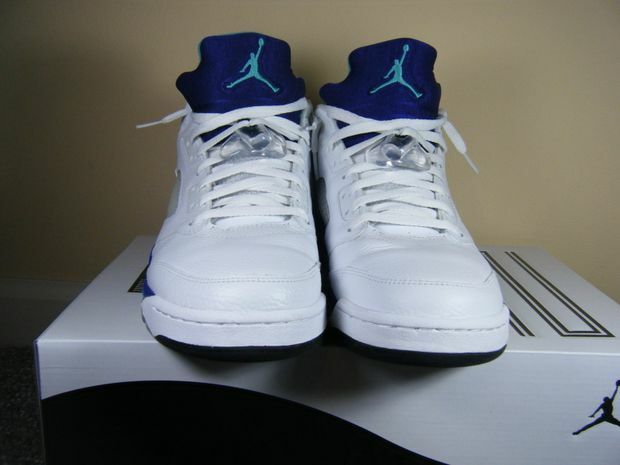 It’s not often you come across customs that look like an official Air Jordan colorway but with some projects, you get the same exact feel as you would with an official retro. 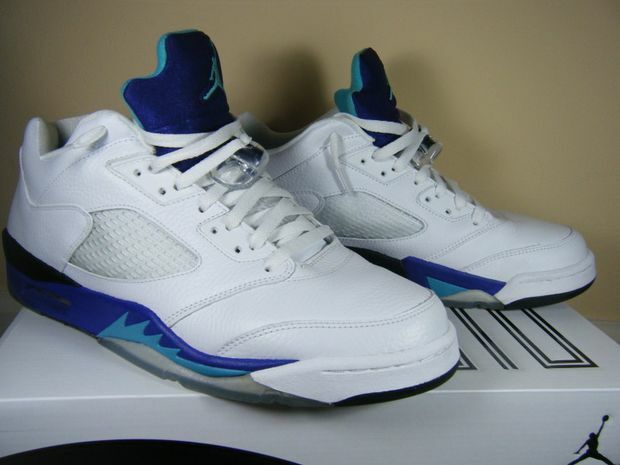 The Air Jordan 5 Grape has been anticipated for years and with possibilities of a retro in 2013, many are holding pack in copping the 2006 pair. 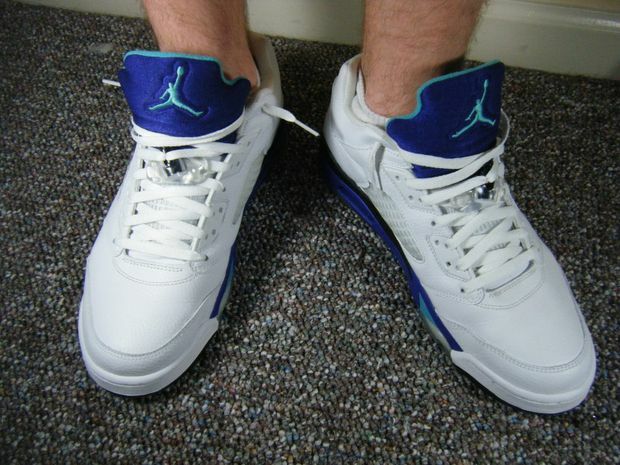 However, there’s some individuals who like to experience an Air Jordan 5 “Grape” in their own renditions, like this Custom Low created by ShowtimeXII . 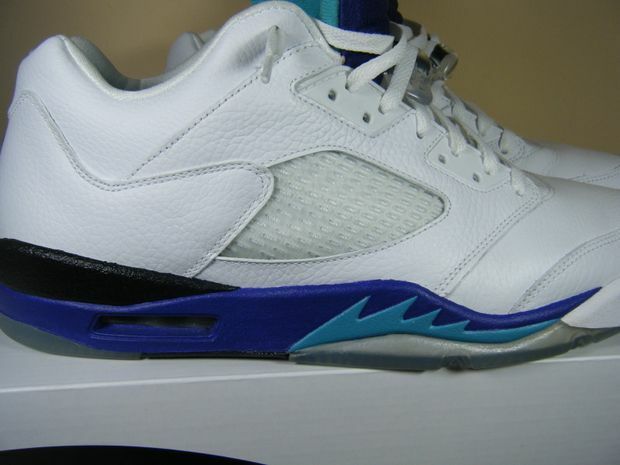 Let us know what you think about this Air Jordan 5 Low ‘Grape’ Custom. 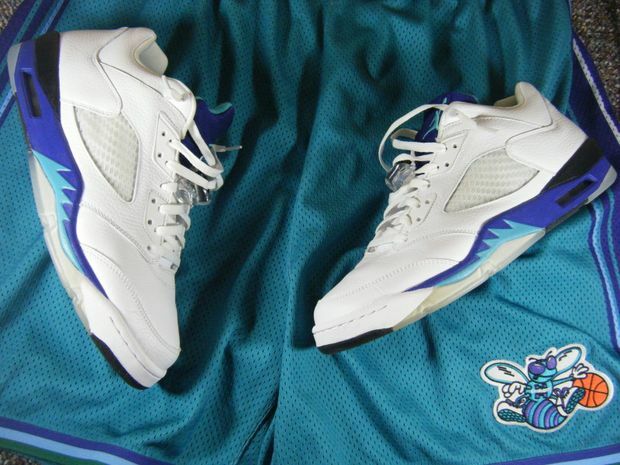 Looks more like a "Hornets" custom than a "Grape" custom.